This evening, the National Weather Service issued the tornado watch, which runs until 3 a.m. on April 15. 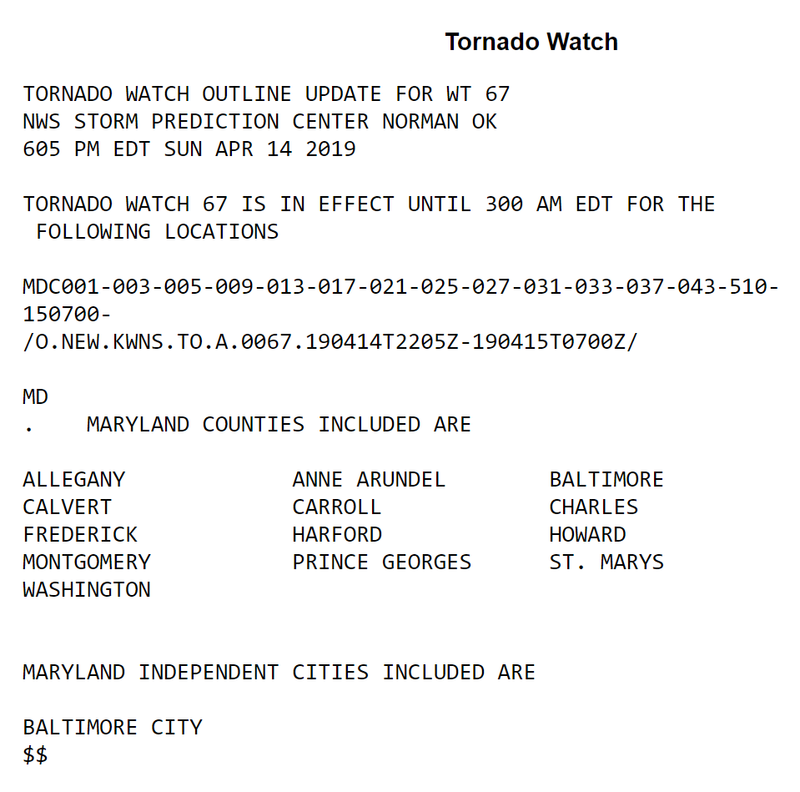 According to the Watch (please see below), 13 Maryland counties, plus the city of Baltimore, have been asked to watch the tornado until early Monday morning, according to the National Weather Service. 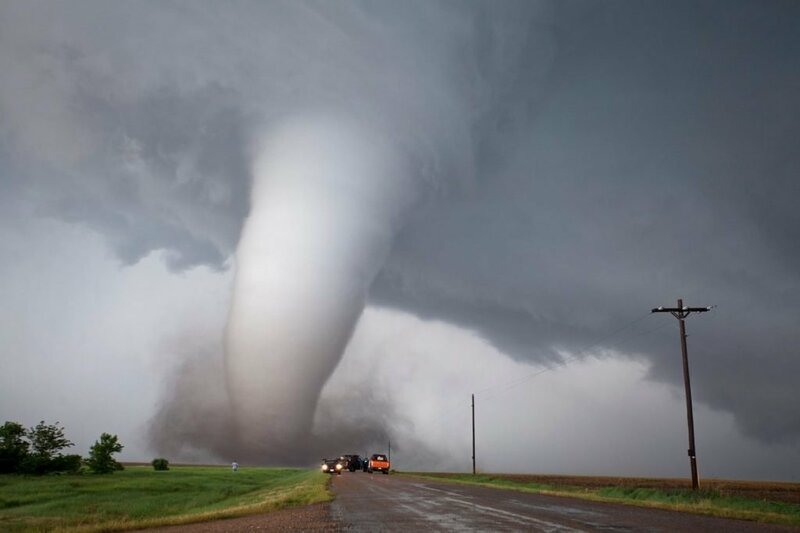 Showers and scattered thunderstorms are expected tonight into tomorrow that could generate damaging wind gusts and an isolated tornado. Heavy rain in thunderstorms may lead to isolated instances of flooding, the weather service says.